“Short Songs” originally by the Dead Kennedys. “No Surprises” originally by Radiohead. “Rebel Girl” originally by Bikini Kill. 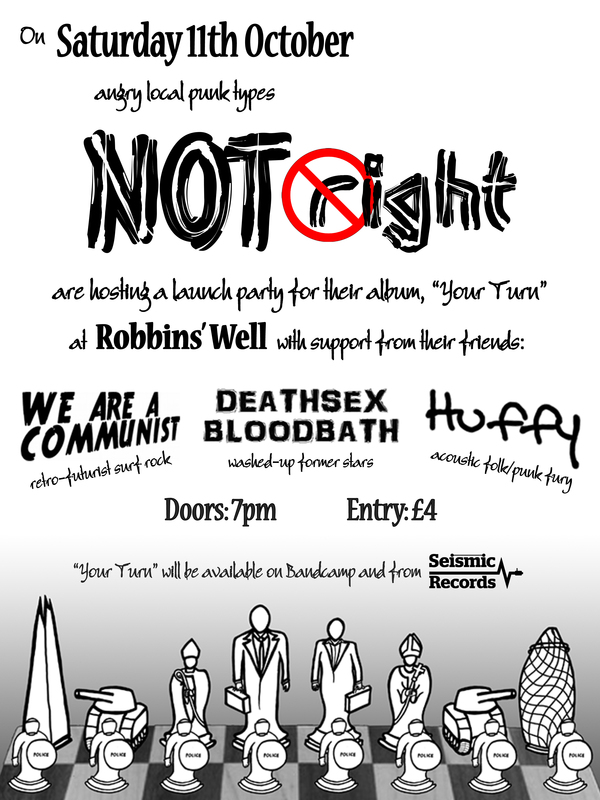 We shared a stage with We Are A Communist, Deathsex Bloodbath and Huffy.